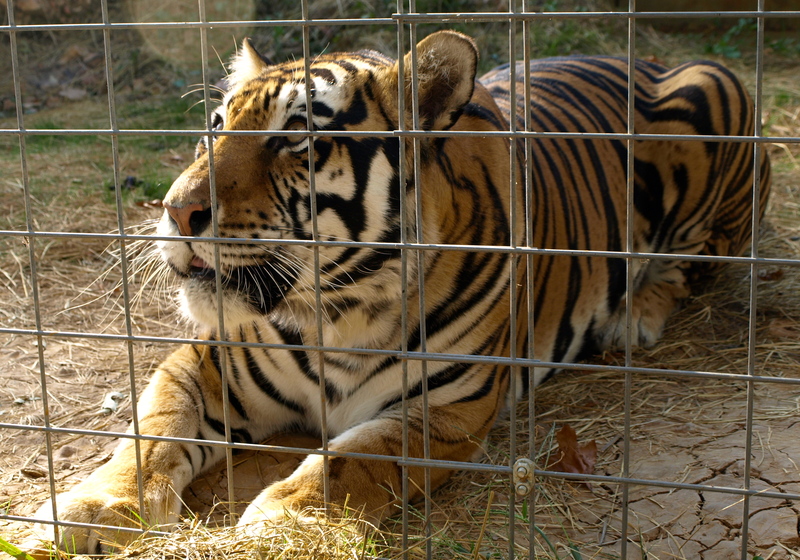 This week I visited the National Tiger Sanctuary in Southwest Missouri for the second time. It’s tucked away just off I65 between Springfield and Branson in Saddlebrooke, Missouri. It has a loyal following but is completely overshadowed by Branson show business. Several times I’ve struck up conversations with locals in stores or restaurants. They ask me where I’m from (guess it’s obvious I not from around those parts), and what I’m going to do. 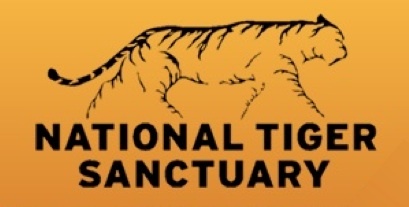 When I mention the Tiger Sanctuary, everyone kind of tilts their head and replies something like, “I had no idea that was here.” The NTS survives solely on tour fees and donations. I’ve always been interested in cats, especially the big cats. Tigers are the most noble of beasts but are in danger of becoming extinct in the wild. Numerous organizations and governments are working to protect them, especially in India, but it’s a monumental task and the financial rewards for poachers are too great for some to resist. This is why I admire the work Keith Kincade is doing at The National Tiger Sanctuary. 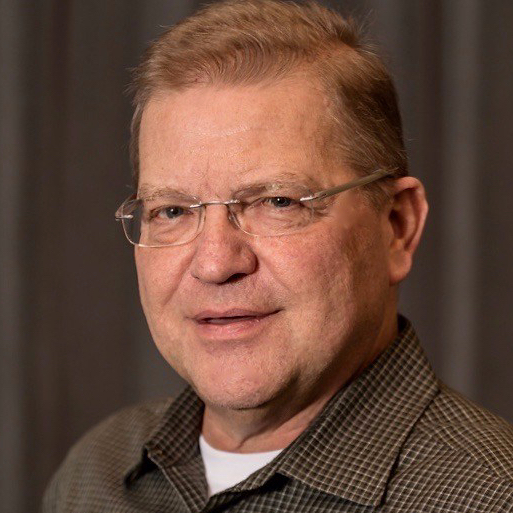 He runs a non-profit organization and everyone working there is an unpaid volunteer. Their contribution to saving the tiger is “preservation through education.” They do it for their love of the cats and the care they take to make them comfortable is impressive. Every cat that comes to the NTS stays their for life, allowed to roam in a large comfortable habitat surrounded by flexible steel fencing. The cats are well cared for, fed food that is human consumption approved and allowed to rest. The NTS staff stays in close contact with other sanctuaries and zoos across the world and they can reach out if one of the animals is having a problem or needs extra help. When you take the tour you hear the volunteers talk a lot about stress, and how they can make small adjustments with their care to reduce it. I recently saw the film Life of Pi, about a tiger and a boy lost at sea on a lifeboat. The story line is of course fascinating, but when you find yourself standing three feet from an 800 pound tiger you quickly realize that the boy would not have had a chance. T.J. (Tiger Jack, above) is an alpha male and when I approached the habitat he was lying like a house cat on the grass. As I got closer he raised his head and gave me a low moan type of sound. 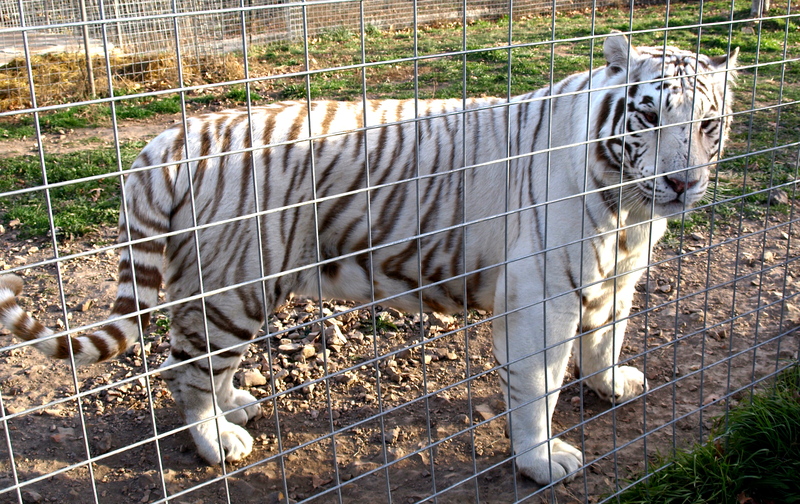 Tigers have very different personalities and as you tour the sanctuary this is obvious. For tigers you are either play or prey. As I was looking at T.J. we engaged in play. When I turned my back on him to walk away he sprung up and let out a roar that could be heard three miles away. In that brief instant I had become prey. Many of the cats have bowling balls or large tractor tires in their space for play. But the tires are shredded in minutes and the bowling balls are scratched or cracked open by the huge teeth and pressure of the jaws. No tiger’s stripes are the same and if you had the chance to shave the fur down to the skin the black stripes would still show. They are so beautiful and it’s tempting to want to enter the habitat to pet them. Nature gave us the house cat because we can’t live with the tiger. If you get a chance, visit the NTS, it’s an especially great experience for children to see these regal creatures in a non-zoo setting. If you can’t visit, consider a donation or adopting one of the cats through their web site. 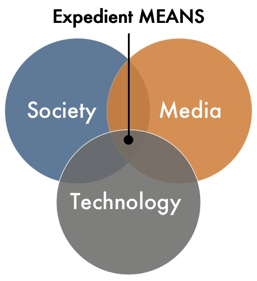 Next Post: Savvy or Dependent?